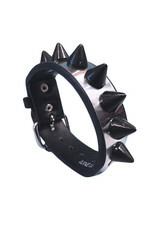 A rockin' twist on the classic punk bracelet. 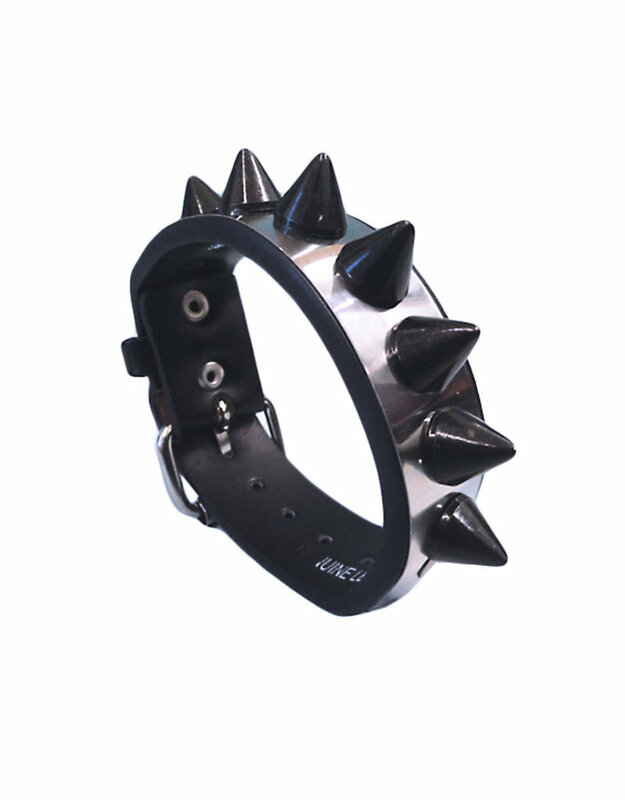 This steel and leather bracelet is equipped with a single row of large black cone studs. Adjustable buckle for your comfort.